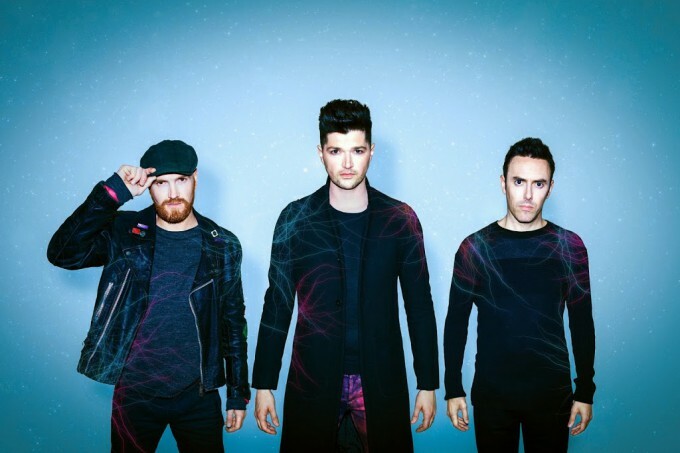 Currently in Australia for the local leg of their ‘No Sound Without Silence’ tour, there’s no denying that Irish trio The Script commands a loyal following. Right from the get-go, that following was in full voice, with Danny, Mark and Glen (surrounded by a sea of green sticks) emerging from the back of the venue and walking through the general admission area before hitting the stage to roll through their catalogue of hits, beginning with, rather appropriately, ‘Paint The Town Green’ from their latest album ‘No Sound Without Silence’. The energetic ‘Hail, Rain Or Sunshine’ followed, before the band launched into the track that essentially launched them in Australia… 2008’s ‘Breakeven’. Top ten Aussie hit ‘Before The Worst’ also received a raucous reception, what with Danny’s impressive live vocal and the band’s sumptuous sound. As did recent top ten hit ‘Superheroes’. The band’s debut single ‘We Cry’ followed, then 2013’s ‘If You Could See Me Now’ and their latest single ‘Man On A Wire’, the boys’ energy never dropping throughout. Danny took particular delight in relieving a young woman from the audience of her mobile phone to call her ex-boyfriend Raphael. He then proceeded the band’s 2010 single ‘Nothing’ down the phone to him; the crowd roaring their support. There was a bit of arm waving for the nostalgic ‘Good Ol’ Days’, before the gents meandered off to the second stage at the back of the floor to perform a duo of acoustic numbers; ‘Never Seen Anything Quite Like You’ and ‘The Man Who Can’t Be Moved’. Danny pressed the flesh through the crowd for ‘You Won’t Feel A Thing’, delivered ‘Six Degrees Of Separation’ and ‘It’s Not Right For You’, before re-emerging on the stage for the encore of ‘The Energy Never Dies’ (which could have been used in the advertisements for the show, because they wouldn’t have been lying), ‘For The First Time’, ‘No Good In Goodbye’ (which gave us goosebumps) and the band’s top five smash ‘Hall Of Fame’. It was only on the latter when they let the flitter disrupt what was an otherwise straightforward concert-going experience. But The Script didn’t need the bells and whistles, because although we went into our very first Script show with no expectations whatsoever, we came away entirely impressed. The Script plays Sydney’s Allphones Arena tonight and the Brisbane Entertainment Centre tomorrow night.